The location of the crown: Because front teeth require extra concern for aesthetics, these procedures are often more complex — and costly. What the crown is made of: Natural-looking porcelain is more expensive than metal alloys or gold. Preliminary procedures: If you need to have a root canal procedure performed first, this can greatly increase the cost of your dental crown procedure. Dental implants: An individual crown can be supported by a dental implant in the case of tooth loss. Dental implants cost significantly more. Sedation/anesthesia: Should you require additional sedation or anesthesia for relaxation, this will increase the cost of the crown procedure. Once your dentist has accounted for the above factors, you will be presented with a close estimate of the cost of your dental crown procedure. This may fall anywhere from $500 to $3,000 depending on your unique needs. You can also discuss alternative options and their pros and cons during this consultation. Your dentist will provide expert advice with all the facts to help you make an informed decision for your smile. After you have the total cost of your dental crown, you can begin discussing ways to make the procedure as affordable as possible. 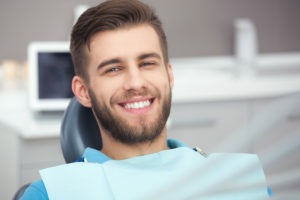 If you are covered by dental insurance, you will be pleased to learn that a portion of the procedure should be taken care of by your provider. Check with your dentist’s office to find out what their policy is on dental insurance and how they can help you make the most out of yours. Even if you are not covered by dental insurance, you may be able to benefit from convenient patient financing. CareCredit, for example, helps you make small, convenient payments on bigger bills. No matter the cost of your dental crown procedure, it’s worth it for your healthy, lasting teeth. Don’t hesitate to seek the treatment you and your smile need! Dr. Kevin Labosky is the dentist State College turns to for excellent general, restorative, and cosmetic dentistry services. If you have an aching or damaged tooth, don’t hesitate to find a solution ASAP. Go ahead and get in touch with this office to discuss dental crowns by calling 814-237-7004 today.